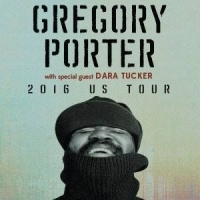 Grammy Award Winning Jazz Vocalist Gregory Porter returns to Nashville for a concert on June 4th at TPAC’s Polk Theater at 8 p.m. An artist whose music is at once timeless yet utterly of its time, Gregory Porter keeps holding on and holding strong as he solidifies his standing as his generation’s most soulful jazz singer-songwriter with Take Me to the Alley, the brand-new 2016 follow-up to his sensational 2013 Blue Note debut Liquid Spirit. Yet in his remarkable career, Porter has time and again demonstrated an innate ability to transcend genre and connect with audiences from all walks of life, and his new compositions reflect the singer’s continued and mindful growth as an artist and as a person amidst the constant touring demands that have resulted from tremendous international success. For Porter’s June 4th concert, Nashville- based jazz vocalist and songwriter Dara Tucker will perform an opening set. Praised by the Wall Street Journal for her “beautiful, soulful voice”, Tucker’s originals blend the roots music traditions of jazz, singer-songwriter, gospel and Americana. Within the last two years, Tucker made her national television debut on The Tavis Smiley Show on PBS and has performed on such stages at the Mid- Atlantic Jazz Festival, San Jose Jazz Festival, The Blue Note and the International Festival of Arts And Ideas.